A question from Frank M sent us on a little research that we would like to share. 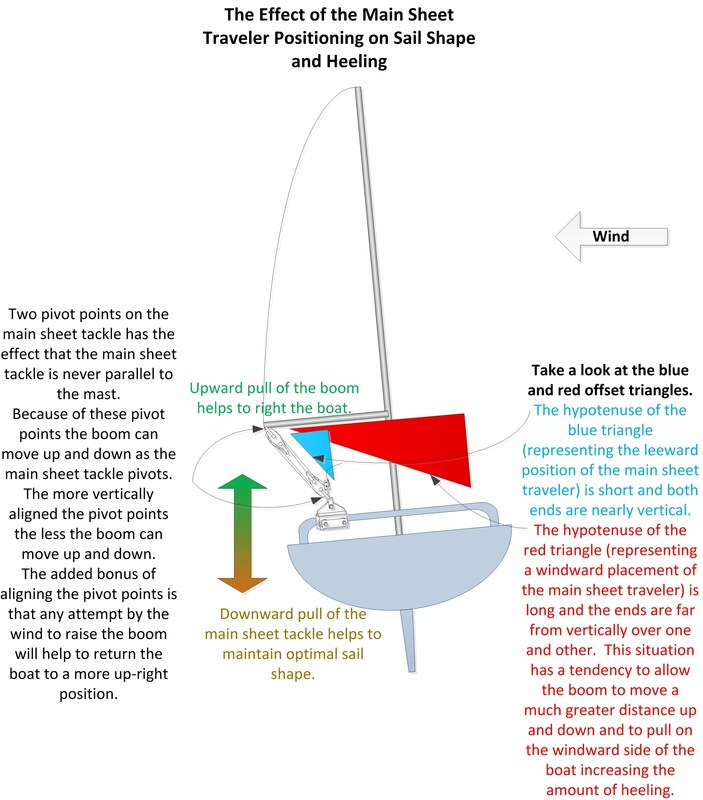 I'm Frank M and I have a question about sail trim and main boom traveler position. 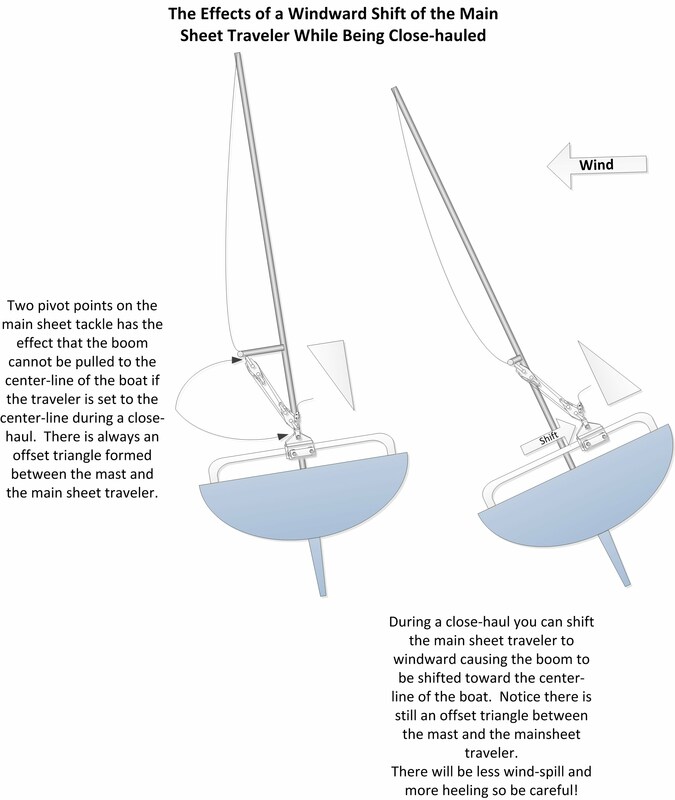 One person says to keep the traveler car upwind to keep the boom centered for better sail shape. On the 22 exp. site, it says to place the traveler downwind to help raise the leeside of the hull. I'm NOT a sailor, having only been doing this for about 2 years. Any advice is dearly welcomed. Thank you. Figures 1 & 2 should best explain the situations. Double-Click to enlarge.